Duplicate files waste lots of precious space on our computer’s hard drive and can also be a problem when creating backups as the process will take longer to finish and the end result will need more space on the backup destination. In this article I’m going to list a few Windows 10 compatible applications that you can use to find, compare and remove duplicate files, freeing up precious storage space in the process. 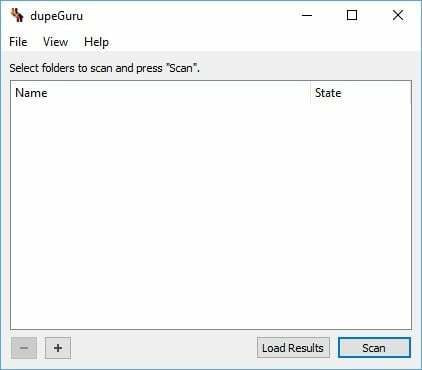 dupeGuru has become the industry standard when it comes to searching for duplicate files under Microsoft Windows. It offers 3 versions of the app – theStandard edition, a Music edition and one for Pictures. The Standard Edition is the default one that can search through all your files, either by filename or the contents of the files. It features a “fuzzy algorithm” that can detect files even if the name has been changed or if part of the content matches to other files. The Music Edition (ME) is dedicated to finding duplicate music files using the following file formats: MP3, WMA, AAC, OGG and FLAC. It can scan the filenames, tags and even the contents of music files. The main advantage of this edition is the fact that it can detect duplicate music files even if they use a different encoder or are saved at a different bitrate, giving you the chance to locate and keep the files that are of higher quality. The third version is called the Picture Edition (PE) and as the name suggests it can be used to find duplicate image files that use the JPG, PNG, TIFF, GIF andBMP file formats. The search engine in the Pictures Edition can match image files even if they use different file formats or have been resized or rotated. It can even match files that have been slightly edited, helping you find the source of an edited image. 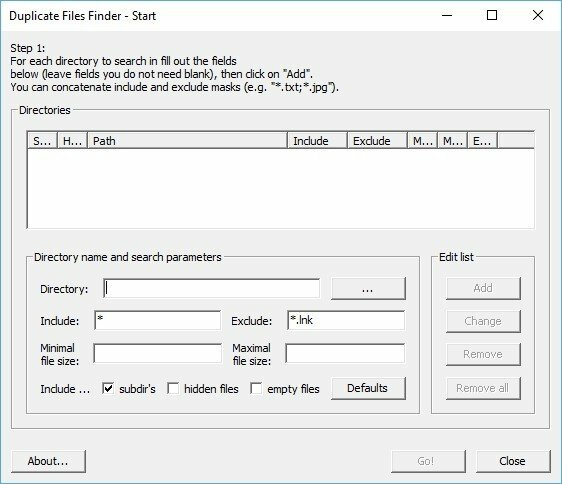 This is another lightweight tool aimed at finding and removing duplicate files stored on your computer. This application has been around for some years now and even has a version compatible with older, pre NT versions of Microsoft Windows like Windows 95 and 98. It hasn’t been updated in a very long time because.. well, it doesn’t need to be. It does its’ job really good, really simple and really fast and the fact that you can use it even on legacy Windows versions makes it the only tool you’ll ever need to have. Duplicate Files Finder is stored over on Sourceforge and you can download it by clicking here. I’m sure most of you have already heard of CCleaner, perhaps the number 1 Wndows application when it comes to cleaning junk from your computer. But what most of you don’t know is the fact that it has a built-in duplicate file scanner that does its’ job really well. It has the options to scan the files for duplicate filenames, matching sizes, content or by their modified dates. 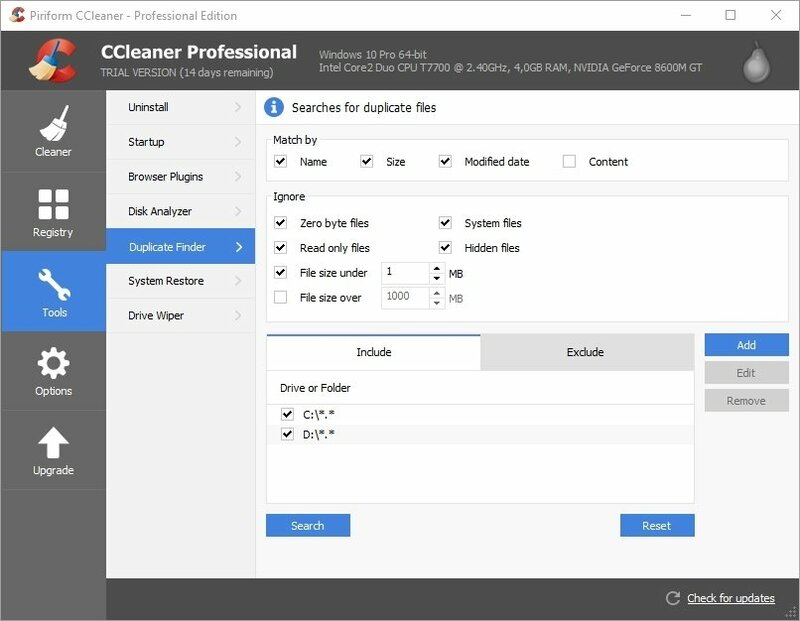 If you are already a CCleaner user than this news can be good for you as you don’t need to look for and install other applications that will use more space on your drive. The Duplicate Finder in CCleaner can be easily found under the Tools tab. If you have experience with others please let us know in the comment section below.